From warm and inviting mixed drinks to sparkling, non-alcoholic twists on favorite cocktails, there are many great mocktails to choose from for the holidays. These family-friendly drinks have all of the fun flavors we enjoy during this season and they're filled with holiday cheer. The recipes are simple, delightful, and guaranteed to be a hit at your Christmas gatherings. Warm and comforting, this sweet Adeline recipe is a nice way to spice up your tea routine. It is the perfect drink for cold days and the sweet and gently spiced flavor is a pure pleasure. The recipe is incredibly simple and it all begins with fresh pomegranate juice and a homemade cinnamon syrup. You'll also need a black tea with a spiced orange blend and hot water. Finish it off with a cinnamon stick and get ready to get comfy. The holiday pomegranate mojito is a great drink, but it doesn't have to be relegated to summer or include rum. This variation is seasonally perfect and skips the booze, which makes it the ideal mix for the family. To make it, you will need fresh mint, lime, pomegranate juice, and lemonade. It's topped with a light soda to give it a nice sparkle as well. Since pomegranates are in season, be sure to include the seeds for that perfect finishing touch. The Bellini is another fantastic drink that many of us enjoy for brunch. It adds a great fruity sparkle to your day and it's incredibly easy to transform into a non-alcoholic delight. The baby Bellini is just as easy and pleasing as the original. Peach nectar and sparkling cider are the only ingredients you need and there are no special tools or techniques involved. Simply pour and enjoy. Brew up the hot not toddy for a soothing, warm drink with your favorite tea. The recipe is simple and can be taken in many directions by customizing it with various teas and sweeteners. The basic recipe sweetens hot tea with honey and adds a bit of tart lemon to give it an invigorating twist. 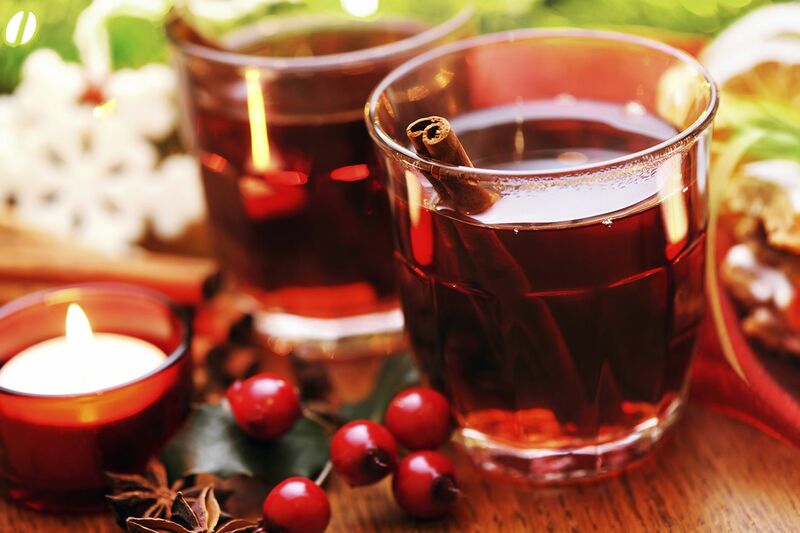 Add holiday spices like cinnamon, cloves, and nutmeg and you have a most inviting and comforting beverage. There is something about a chilly winter morning that brings up the desire for a bloody Mary. It's a great drink for watching football or simply relaxing before the day's rush begins. Yet, there's no need to pour the vodka. The virgin Mary is a healthy and invigorating drink and you will not miss the liquor. The spicy tomato juice mix includes Worcestershire and hot sauces, pepper, celery salt, and a splash of lemon. Garnish it with a pickle or celery, it's wonderful either way. If you're in the mood for a drink that is very peachy, then this is the recipe for you. It has an excellent fruit flavor, a hint of sweetness, and is very refreshing. Inspired by the famous tequila sunrise, the sparkling peach sunrise skips the liquor and opts for peach juice over orange. The grenadine remains as the fruity sweetener that gives it the signature sunrise effect. Top it with your favorite citrus soda and a delightful mocktail is ready to enjoy. An ideal beverage for holiday dinners, the sundowner is a sparkling, refreshing pleasure to drink. It's one that you can pour by the glass or prepare a full pitcher and both are beyond simple. The recipe requires white grape juice, rather than the standard purple variety and it's relatively easy to find at the market. The only other ingredients are sparkling water and fresh mint. The trio creates a drink that pairs perfectly with any food on the table. An interactive way to enjoy your hot chocolate, el submarino is a treat for the entire family. This recipe comes from Argentina and it can delight children anywhere in the world. Rather than mixing up hot chocolate, you will warm milk and sweeten it with sugar and vanilla. You'll also need a quality chocolate bar, which is dunked into the steaming cup and slowly melts away. It's quite fun and a unique twist on a winter favorite. There are many eggnog recipes available and you can skip the liquor in most to create a family-friendly version. Yet, if you're looking for a tried and true non-alcoholic eggnog recipe, this one is an excellent choice. This eggnog also takes away the fear of drinking raw eggs, so it's safe for the whole family. The eggs are lightly cooked with sugar and salt before milk is added. It's not the quickest eggnog, but it is most satisfying. For a truly unique beverage, brew up a cup of Hong Kong milk tea this holiday season. This is a luscious, creamy cup of tea that you won't want to pass up. The recipe requires just three ingredients. You'll heat water and choose your favorite black tea. Add to that evaporated milk or, to make it a little sweeter, condensed milk or sugar to suit your taste. It's easy to make and can be served either hot or cold, depending on your mood.